A 1.850 km circuit, used before 2009. 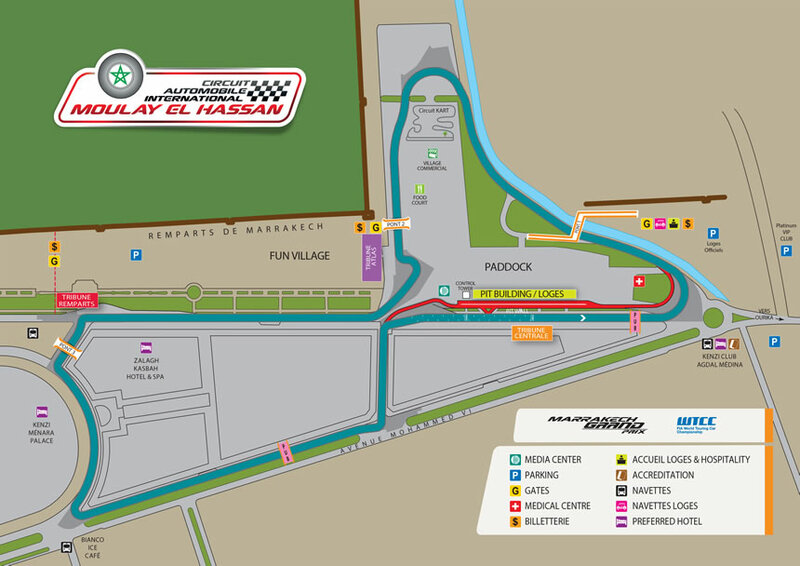 A 4.624 km circuit located in the southern outskirts of Marrakech first used in 2009 for a round of the World Touring Car Championship. It was replaced by the 2.971 km semi-permanent circuit designed by Hermann Tilke below for 2016.